Following on from my blog entitled Austerity, Economic, Politics, Riots and War, I received a comprehensive and reflective response from John Gelmini which I am restating below. Whilst I endorse the general thrust of John’s argument, I do not necessarily agree with detailed observations nor reach the same conclusion. However, for sure, John paints a scary scenario. It’s still very much a risk profile and can be effectively mitigated by common sense prevailing from some of the World’s leaders. Let us know what you think too. The economic and political conditions today described in the Guardian and the award-winning Paul Krugman are eerily reminiscent of those which prevailed in the summer of 1914. Then we had a series of powerful elites remote from the concerns of ordinary people and we had a British Empire in decline (it had reached its peak in 1885). Ordinary people in the UK and Europe were poor with a massive gap between their income and life chances and those at the top; slums were plentiful and people drowned their sorrows in a sea of cheap alcohol. The police in all these countries kept the poor in check and through poor education and limited opportunities for travel, it was easy for the authorities to keep ordinary people in the dark. We had a resurgent Germany being heavily financed by leading plutocratic families like Krupp and positioned to fill the vacuum and upset the balance of power which was supposed to be maintained by the alliance between France and Russia. Britain, according to our leaders at the time, was going to have nothing to do with any of this and could remain on the sidelines, protected by what was then the most powerful navy in the world. Today we have the same series of powerful elites represented by 21 families and remote from the concerns of ordinary people. Totaling 6,600 people, this group since the banking crisis, have become $32 trillion USD richer whilst everyone else in the world earning less than £250,000 GBP has become poorer. The gap between rich and poor is now wider than ever and in the UK and Europe; the Knights of Malta have accelerated their program of opening food banks; whilst in America, there are 60 million food stamp recipients. The current world order is based on the idea of two reserve currencies of which Sterling is one and the Petro-dollar created by Richard Nixon is the other. The Chinese, Russia and Brazil are now challenging that order, as is Iran, with a network and a Petroleum Exchange based on a basket of currencies. Also we have an economically resurgent Germany in Europe and China also resurgent, buying up and consuming most of the mineral resources on the planet. Just as in the run-up to World War 1, there was civil unrest, talk of revolution, bombs exploding and False Flag events, plus a general air of hopelessness; we have all those conditions today, plus the two new bogeymen (Merkiavelli and the sentiment expressed by Donald Trump “China is eating our lunch”, “They are building new cities with our money and if I were President I would put a stop to it”. Whilst people are better informed via the internet, there is a lot of bogus information in the form of PsyOps (psychological operations), designed to confuse people to the point where they switch off so the overall effect is to create what the late Sir John Rawlings Reese (Head of Psychological Warfare for the British Army and Tavistock devotee), called “Long range penetration strain”. He was the man who trained Dr Kissinger so he has form. People in that condition (brain-washed by PsyOps) are rendered powerless and will grudgingly accept austerity or practically anything which they see as inevitable, or beyond their power to stop. Europe needed to solve its problem with a $6 trillion USD bailout; or as David Cameron called it, a “Big Bazooka”. Germany and the rest of the European leaders refused to create one but they have been building up their armaments and selling arms in quantity overseas whilst America has a Black Budget equivalent to America’s entire GDP which it is putting into a military buildup bigger than anything the world has ever seen and far bigger than the 11.8% annual buildup by the Chinese military. China is now engaged in a massive global hunt for mineral wealth and is Africa’s biggest inward investor and if it continues at its present rate Europe and America see themselves as in trouble. 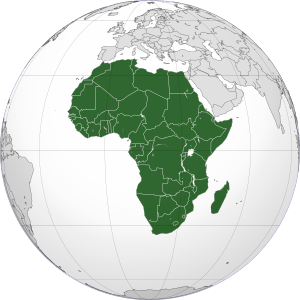 For this reason, America and Europe (ourselves and France in particular) want to seize much of Africa’s mineral wealth and control through their elites what they call Eurasia. Eurasia is code for Russia and China but to achieve it they need to first expand NATO which has already happened and then through bases and missile shields (Brilliant Pebbles) encircle Eurasia. Strengthening the Indian military, which now jointly patrols with the Vietnamese (happening now). In trying to solve their problems in this way, the Europeans, the Americans and ourselves are playing a dangerous game just as the Great Powers did prior to World War 1. This is manifesting itself in strategic investments in Western companies, (Wessex Water etc), 4 million cyber warriors in China and 2 million in Russia’s GRU hacking into every Western database imaginable, including the power grid and those dealing with shipping movements of food, more nuclear submarines, space-based weapons, investment in Ekoskeleton armoured suits, fighting and storming robots, weather warfare and the creation of blue water naval capability. One hopes that wiser counsels will prevail but it looks to me very much like the run-up to August 1914. Social unrest coming to Europe? If not, why not? How Significant Is the Year 1914 in the History of Mankind?